It is with an extremely heavy heart and through many tears, that we must share the loss of another of MaPaw’s beloved family. It seems like just yesterday that Echo was born in a MaPaw foster home and when his family met him at just 2 days old ~ they knew he would be the newest member of their family. 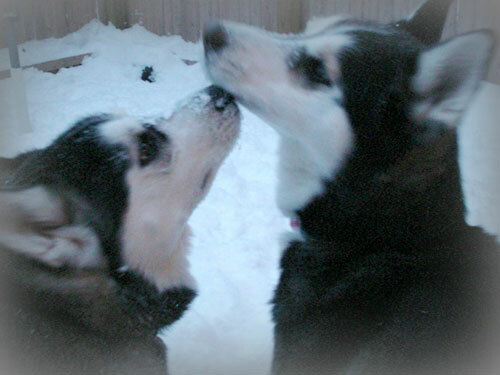 When they first brought Echo home to meet big brother Meeka, they had no idea the bond the boys would form. When the family lost Meeka in July, nobody grieved more than poor Echo who had lost his brother, partner in crime and soul mate. Wednesday (December 29th) seemed like a typical day ~ Echo snagging his sister’s nylabone, running around the house and yard, getting into mischief. And suddenly ~ he was gone… Echo did not suffer and passed quickly. His family is devastated. We know that Meeka was there to greet Echo as he crossed the Bridge. Now the boys are side by side, as they were in life, watching over their family.